Our Dojo (School) is dedicated to the teaching of Traditional Japanese Budo (Martial Arts). 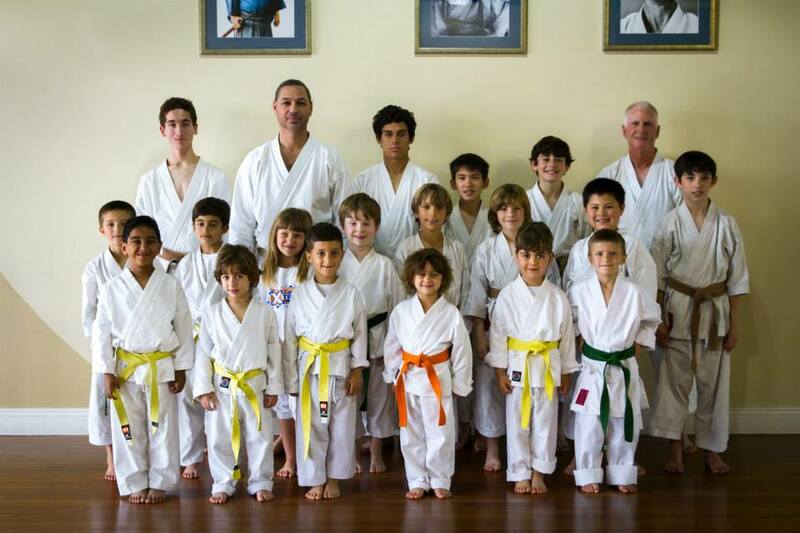 We offer classes in Traditional Japanese Karate-do, the name of the style is JKA Shotokan. 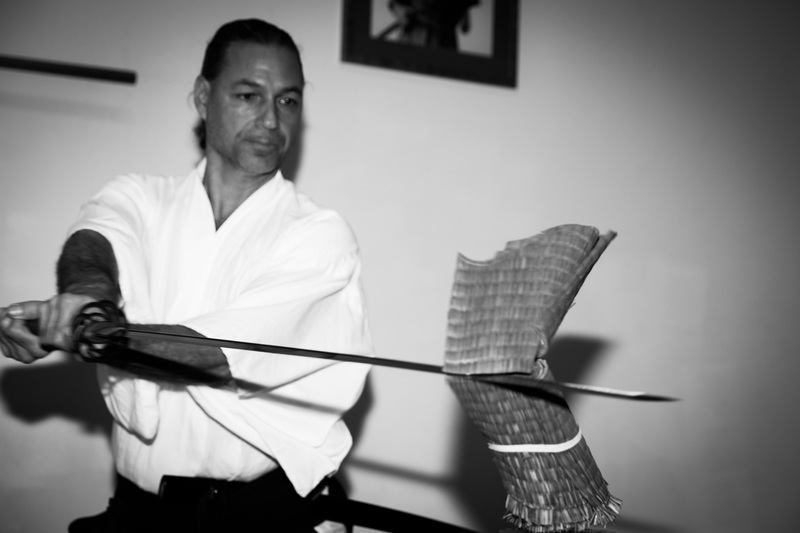 And also we offer classes in Traditional Japanese Swordsmanship, and our style is Batto-do. Peer Halperin Sensei is a high ranking traditional martial arts instructor. In the art of Karate-do, he is certified by the American Amateur Karate Federation (AAKF) and a member of the International Traditional Karate Federation (ITKF). Peer Halperin Sensei was also a student of the late Nishiyama Hidetaka Sensei (a direct student of Funakoshi Sensei). In the art of Batto-do, he is certified by the International Batto-do Federation (IBF), and was a student of the late Nakamura Taizaburo Sensei. Peer Halperin Sensei has been dedicated to studying and teaching Martial Arts for over 30 years, after devoted training with Karate and Swordsmanship masters in Japan. Modern Karate evolved in Japan in the early part of the 20th century from a long tradition stretching back several centuries in China and Okinawa, then in the 1950’s was introduced to the world which immediately recognized its many benefits. Also at this early stage of development, popularity and growth, many other kicking/punching sports appeared which though seemingly similar where fundamentally different from Traditional Karate. The “pure” form of Traditional Karate which originated in Japan was, and still is, a true martial art (Budo) which emphasizes the principals and applications of weaponless self-defense through the use of total body dynamic and mental discipline. A fundamental principal of Traditional Karate was the concept of “Todome waza” or “Finishing Blow”, which described a technique, whether punching, kicking, striking or smashing blow, sufficient to destroy an attacker. Maximum impact, economy of movement and the ability to defend against multiple opponents were also highly stressed. Hand in hand with developing athletic ability and technical proficiency. Traditional Karate also emphasized emotional self-control, correct judgment and calmness of spirit necessary to perform the techniques under stressful conditions. Karate training is based on continuous, unlimited improvement and striving for excellence to a goal for perfecting one’s technical ability and character. With more diligent practice, karate techniques require less movement and produce greater power (fundamental goals of the training program). Besides the physical benefits of a healthier life, Traditional Karate also provides improved clarity of mental functions and building of self-confidence, which itself leads to stabilized emotions. This self-confidence is function of the ability to execute a finishing blow. In addition, the positive effect on the emotions and spirit produces an internal environment which ultimately eliminates hostile situations, the ultimate goal of mastering karate. The word ‘Samurai’ came from a verb ‘Saburou (assist, support)’, and was meant to describe a warrior class that helped Emperors and Aristocrats as armed guards. From the 13th century until Meiji restoration in 1868, Samurai class practically governed Japan with little interruption. During the period, the way of Samurai (Bushi-do) became established as one of the most fundamental characteristics in describing Japanese culture. Of most contiguous features of Saurai’s, one could not escape the fact that Japanese swords (Katana), are always a big part of the everyday life. It is true that during the war, a variety of weapons including spears, lances, bow and arrows, and in later days, guns, were utilized. However, swords were almost always worn by the Samurai’s, except perhaps during bathing and in bed. Even in sleep, your trustworthy swords are expected to be always within an easy reach. Samurai are expected to ‘always be ready when emergency takes place’ and to remain calm and effective in crises, whether it is a natural disaster, war, a surprise attack, accidents, and so on. Swordsmanship training played a major role in developing strong physical and mental states in the Samurai. The training is meant, according to a famous swordsman in the 19th century, to “help build Samurai spirit by placing oneself between life and death”. There are many styles of Japanese swordsmanship training. Examples include: Kendo (dueling by bamboo swords between two practitioners in light armors), Iaido (solo sword-maneuvering practice with real and/or mock swords), Kenjutsu (mostly paired exercise using mostly wooden swords), and Batto-do (swordsmanship practice including aspects of Iaido and Kenjutsu, plus target cutting using real swords). Here at TMAC, we study Nakamura-ryu Batto-do, which was founded by Nakamura Taizaburo Sensei, and foucses on learning how to use true Japanese swords.